On the 30th June SPERI, in conjunction with the British Sociological Association’s Food Study Group, hosted a workshop on ‘food, poverty and policy: evidence base and knowledge gaps’. 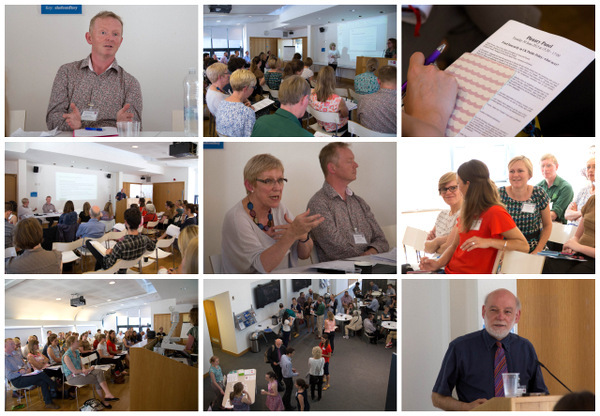 The day, which was fully booked, saw researchers from across the UK present cutting edge findings on a range of issues relating to food and poverty including emergency food provision, food insecurity and experiences of food and poverty across the life course. Academic researchers, policy makers and practitioners were brought together to discuss what the wealth of new research in the area of household food insecurity ‘adds’ to knowledge and how it may be able to play a stronger role in influencing effective policy interventions. The closing plenary session saw Professor Liz Dowler (University of Warwick), Geoff Tansey (Fabian Commission on Food and Poverty) and Niall Cooper (Church Action on Poverty) reflect and elaborate, in discussion with the audience, on the history of food insecurity in UK public policy, the relationship between evidence and policy in this field and the increasingly important role of civil society organisations in influencing the agenda. ‘Austerity, sanctions, and the rise of food banks in the UK’ Loopstra, R.
‘Emergency Use Only! – Understanding and reducing food bank use’ Perry, J., Sefton, T.
‘The political construction of food banking in the UK: exploring the liminal spaces of encounter’ Williams, A., Cloke, P., May, J., Goodwin, M.
‘The nature and extent of food poverty/insecurity in Scotland: A preliminary study’ Douglas, F., Ejebu,O-Z., Garcia, A.L., Whybrow, S., McKenzie, L., MacKenzie, F., Ludbrook, A., Dowler, E.
‘How many Hungry? Quantifying Food Poverty within the UK’ O’Connor, N., Farag, K.W., Baines, R.
‘Indices of Food Poverty: objective measurement of population-level prevalence using secondary data’ Smith, D., Harland, K., Shelton, N., Parker, S., Thompson, C.
‘Health Promotion versus Lived Experiences. Where does food figure in the lives of so called vulnerable young people in Scotland?’ Gombert, K., Douglas, F., McArdle, K., Carlisle, S., McNeill, G.
‘Children’s understandings of family financial resources and their impact on eating healthily’ Fairbrother, H., Curtis, P., Goyder, L.
‘Older and Hungry? Food Insecurity Amongst Older People in the UK’ Purdam, K., Garratt, E.